Dead Island developer Techland is scheduled to release its dark, “first-person co-op slasher” Hellraid sometime next year. To give players an early taste, the company teamed up with Shortbreak Studios for a pared-down mobile package called Hellraid: The Escape, a game that quickly earned one of Apple’s “Editor’s Choice” awards. Make no mistake, Hellraid: The Escape may not boast the large-scale combat of its PC/console cousin, but it offers one of the most intense interactive experiences in the App Store. Fans of both horror and adventure games should take notice. Hellraid: The Escape casts players as an anonymous, bearded soul trapped in a dungeon-like Hell. You have no memory, no weapons, and no items, only a pair of tattered pants and the sound of horrifying screams in the distance. Each of the game’s seven chambers presents unique challenges, but your objective generally involves pulling levers, finding required items, and avoiding demented fantasy enemies, all of whom can gruesomely demolish the player in a single hit. The genre here is a mixture of fantasy horror and action-adventure, somewhere between Myst and Witchaven. By and large, the game’s greatest success is its diverse gameplay. One minute players will be mixing ingredients to make a potion, and the next they’ll be playing chess. One particularly memorable sequence involves learning and playing a simple piano tune. Even more, the game does a fantastic job of implementing various functionalities of the touch screen. After using my finger to dig out a key from under a pile of rotten bones, I knew that Techland had mobile in mind with this title from the get-go. All of this diverse gameplay fits into a superbly done horror setting. Eerie piano music plays behind distant, monstrous groans. Hanging chains cling noisily as you bump into them. All in all, sitting down with headphones for a session of Hellraid: The Escape alone is a damn scary experience. As is too often the case, Hellraid: The Escape is somewhat held back by its touch screen movement controls. Getting from point A to B is easy enough with no enemies on your tail, but precision maneuvering can be frustrating in a few key areas. Worst of all is the game’s tilt controls, which are rare but absolutely abysmal in every instance. It’s a wonder how those sections made it past the game’s beta phase. 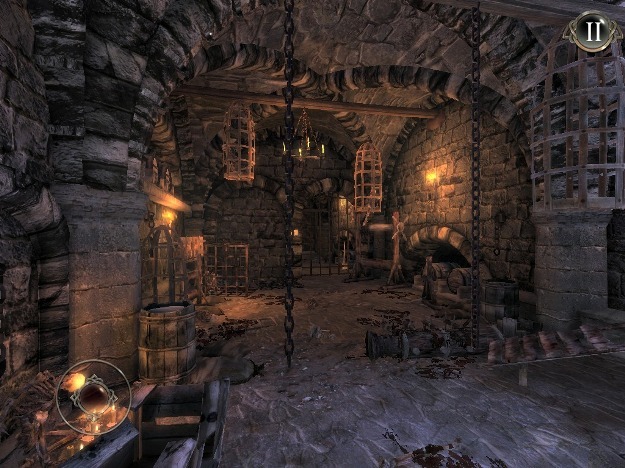 Hellraid: The Escape could use some polish, to be sure, and players are bound to encounter moments of extreme frustration in its later levels. Nonetheless, it’s a title that cares about gameplay, setting and design more than it does squeezing money out of users. In this day and age, that’s as good a reason as any to give a game a try. 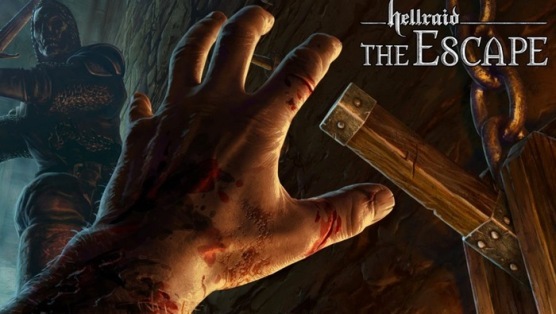 Hellraid: The Escape was developed by Shortbreak Studios and Techland. It is available for iOS devices. Matt Akers is a freelance journalist based in Boston. He writes about geek culture and works for a youth literacy project at the Harvard Graduate School of Education. Follow him on Twitter @ScholarlyLad.